The latest update of Apple's iTunes has included a fix to block devices such as the Palm Pre that use the program for synchronising music and content. The Palm Pre smartphone is seen by many as a direct rival to Apple's iPhone because of its innovative interface and web based software. Marketing for the new Palm Pre touted "seamless" synchronisation with iTunes, because it appeared as an Apple device. 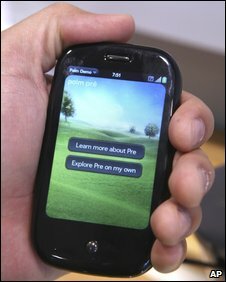 Palm called the move a "direct blow" to Apple's users. While many devices can, through intermediary software, connect and synchronise with iTunes, the Pre was able to do so because it identified itself as an iPod. In June, Apple issued a note stressing that it "does not provide support for, or test for compatibility with, non-Apple digital media players" and warned that "newer versions of Apple's iTunes software may no longer provide syncing functionality" with them. Now, the latest version of iTunes, 8.2.1, has patched the hole through which devices could masquerade as Apple products. Apple said in a statement that the update, in addition to other bug fixes, "also disables devices falsely pretending to be iPods, including the Palm Pre". Palm said that the Pre would work with previous versions of iTunes. "If Apple chooses to disable media sync in iTunes, it will be a direct blow to their users who will be deprived of a seamless synchronization experience," the firm said in a statement. The statement added that "there are other third-party applications we can consider" and that users could simply choose not to update iTunes or could use a USB cable to directly transfer files.